Bringing in a little bit of extra cash from time to time is easier now than it ever has been thanks to the internet. People are making money online from the comfort of their homes, providing them with a little monthly income boost. I have been using quite a few of these tactics over the years to help me get to where I want to be in life. These little earning hacks can make you enough money to either reinvest into bigger projects / ambitions or help ease the money worries that you may have. Providing for a young family can be stressful, especially when most of your money goes out on bills, rent and feeding your family. Earning just an extra $300 to $500 a month can literally change peoples’ lives and give them a better quality of life. These 70+ methods of bringing in some extra money range from the fairly obvious to ideas that few people have thought about. 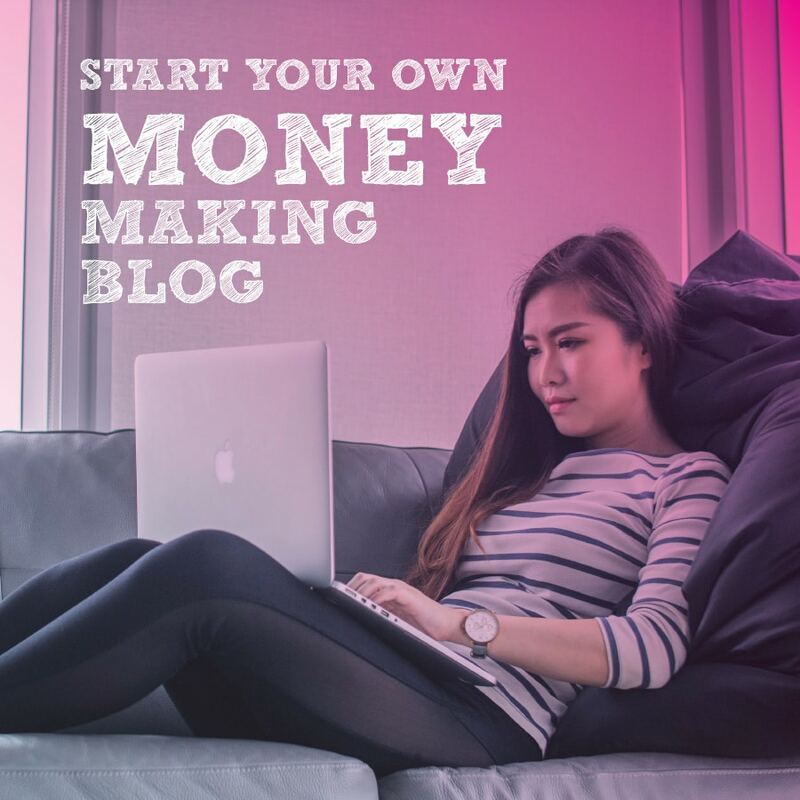 Learn how to start a blog with WordPress. If you want to get started straight away, then Bluehost offer really cheap web hosting from just $2.95 per month plus they give you a free domain name worth $15. Some companies allow you to post links across your social media sites and get paid for each click your post receives. It may only be a couple of cents per click, but if you have a lot of followers, or you post often, it can add up to a substantial amount of money. Vloggers ( video bloggers ) make lots of money through advertising and product placement, and is one way of the most popular ways of making money with videos. Entertainment websites are always on the lookout for pieces that bring in visitors and they usually pay well for popular articles. Whether you like to write about the latest Game of Thrones episode or celebrity gossip, if your work proves popular, they will happily pay you to keep the articles coming. Stock and forex trading market can be seen to be somewhat risky, but if you manage your risk by starting out small and keep learning your craft it may be a worth while method of making extra cash online. In fact, once you get the hang of it you can potentially earn a sizable profit from exchanging foreign currencies and stocks. To become a successful trader you need to be able to recognize which currencies and stocks are likely to increase or decrease in terms of their overall value. Looking at trading signals and using tools that are available on these trading platforms, will help you understand the various strategies and principles of trading stock and forex. The best place to learn and to try your hand at trading is Etoro. Head over there and sign up for a trial account. It’s incredibly user-friendly and will appeal to those with an interest in social trading. They have plenty of resources on their to help you learn how to trade stocks, shares and currency. Unfortunately this isn’t a money making option for people in the US. Check out this awesome matched betting guide, to get more information on this clever way of making extra money. These types of sites have been around for almost 20 years and they still remain fairly strong. Many GPT websites give you the chance to do seemingly easy tasks for a small payout. The amount of money you get per task may not be a lot, but you can make decent money for what would otherwise be downtime. Taking notes in class is helpful for studying for quizzes and exams, but not everyone can make it to every class, or they may not be good note takers. By selling your notes through a third-party website, you can get paid for what would likely be going in the trash after the semester is over. Purchasing a domain name you think might be popular in the future can result in a very nice offer coming your way if that is the case. This is seen a lot with politically-themed domains since domain names with a trademarked word or phrase can usually be taken by law from a flipper with no compensation. Another great tool you could try out is Michelle’s affiliate marketing course which teaches you absolutely everything there is to know about affiliate marketing. If you are particularly knowledgeable on a certain subject, or if you are a good creative writer, you can write an ebook in a fairly short amount of time. Many websites are dedicated to selling ebooks, but by far the biggest marketplace is Amazon.com, which brings in millions of people a day looking for a new ebook. Your work will need to be formatted a special way and the content will need to be approved before it is published, but there are authors who routinely make five figures (and more) just from putting out Amazon ebooks. Graphical designers are in fairly high demand in many industries. If you have any experience at all in creating scenes or pictures, put together a portfolio and advertise yourself. You can also find companies and individuals looking for a designer on freelance and job posting websites. Opening a website that brings in visitors where you can sell them goods for a higher price than what you pay for them is what dropshipping is all about. You never have to touch the products, all you need to do is take the buyer’s payment and purchase the item from a wholesaler, then have it shipped directly to the buyer. Along the lines of graphical design, someone who is good with making infographics will usually not have a hard time finding a client to utilize their services. An interesting infographic might be seen millions of times across social media platforms, making whatever you charge a bargain to your customer. The “gigs” section of Craigslist usually provides a number of different options for temporary jobs, projects, or one-day gigs that are open to the general public. Pay for these gigs depends heavily on what they are, some may only pay $20-30 for relatively simple jobs, while others can pay thousands in the case of long-term work. Check out this impressive list of 200+ freelance writing niches to give you some inspiration. If you’re thinking about becoming a freelance writer but aren’t sure how to go about it, then do have a look at this Freelance writing course as there’s some really valuable tips and guides to help you along the way. Whether you have an open room or you would like to rent out your entire home, AirBnB and sites like it give you the chance to rent out your living space for short periods of time. You can often get the best prices on the weekends, or if there is a major event going on in your town. For those with a clean driving record, becoming an Uber or Lyft driver can bring in a lot of money in a short period of time. Those who do the best on these ride-sharing websites are available for driving right after big events in populated areas. Consignment stores work by allowing you offer your items for sale at their brick and mortar location and taking a percentage of the selling price. Most consignment shops mainly deal with clothes but everything from major appliances to decorative trinkets can be found in bigger stores. If you live in an area that is popular with tourists, you can either start your own guided tour, or become a tour guide at an already established tour company. The best tour guides are those who have both lived in the area for a long time and know a lot about its history. Job hunting can be difficult but most major job sites allow you to upload a resume so that potential employers can get in touch with you. This usually only takes a few minutes and can result in good job opportunities being sent right to your inbox. Retail stores and restaurants frequently use mystery shoppers to gauge how their employees perform when they do not know they are being tested. Often, the mystery shopper will get to keep whatever merchandise they purchase, or they will get a free meal if they are testing a restaurant. 39. Sell DVDs, CDs, etc. With streaming services becoming so popular, getting rid of physical pieces of media makes sense from multiple perspectives. You may not get a lot for each individual DVD or CD but if you have a lot, it can add up. By selling these things, you also give yourself less to pack up if you move or re-arrange your home. Most credit cards offer 1-2% cash back at minimum, but some offer up to a 5% effective cash back rate for certain purchases or by utilizing a bonus system. Many of these cards offer extra cash back in certain purchase categories every quarter, while others will run double cash back promotions or give you generous sign-up bonuses. Renting out your car for a few hours or days at a time can be an easy way to make some extra cash without needing to do much in return. As long as your insurance allows you to do this, all you need to do is sign up with a car-share website and have the car cleaned before your first customer arrives. One of the easier ways to make some quick cash, a garage sale can help you both clear out your home or garage of things you do not want anymore while making it worth your while. Coordinating your garage sale with others will likely end up getting more people into your neighborhood to see it, especially if you hold it on a weekend. Becoming an official can take anywhere between two weeks and three months depending on the sport. After your training has finished, you will want to either contact schools directly in order to make yourself available, or go through a sports agency that will assign you to certain games in your chosen area. This is mainly for high school and college-aged individuals but a summer job can help bring in money from a job that might otherwise be hard to do during the school year. Most places of employment will start looking for summer help early in the spring, making it important to start looking for job openings as soon as it starts getting warm outside. A part-time job can be anything from picking up a few hours a week waiting on tables to working weekends at a sports bar. Most part-time jobs do not have rigid hours, depending a lot on the availability of the workers. This usually results in those who are most available getting the majority of the hours. Watching kids has been a money-making staple for the younger generation for over 60 years. Teenagers can make $10-20 an hour while babysitting at a client’s home, while those who have special training and who are watching infants can make considerably more. Walking neighborhood dogs once or twice a day is a great way to make some extra cash, especially in a big city. If you can find enough clients, you may be able to make it a part-time job since those who can afford dog walkers are usually making a substantial income themselves. At the end of the semester, bookstores will sometimes buy back textbooks for pennies on the dollar. By holding on to your books until the new semester begins, you can sell them to other students for a lot more than you would have gotten from the bookstore, while the buyer gets the book for far less than they would normally pay. Great site you have here and these are some awesome tips that one can use to start making extra money. I’ve just started a blog and while it is a lot of work and requires a ton of commitment, I love it. You’ve definitely opened my eyes on some other methods I never thought of. 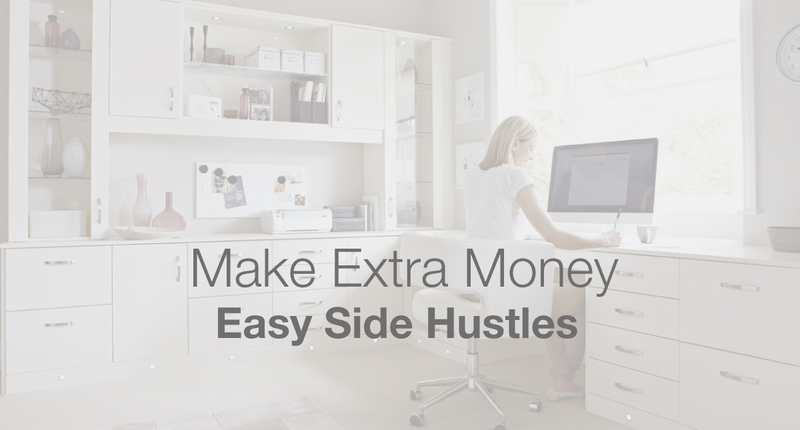 This blog post will definitely help anyone who wants to make some extra money on the side. You’ve definitely thought outside of the box. Thanks for sharing these methods with us, I am sure they will help so many people. I’m so happy that this post has helped you in some way. There’s lots more ways to earn additional income, and I will be adding a few more to this post later this month. This is good stuff Jamie, thanks for compiling it! My side hustle? Try tutoring :-) Go around to all the local junior high and high schools, post flyers that say “need help with algebra?” or whatever subject you feel comfortable teaching. Charge $35 per hour tutoring, and do 4 hours of tutoring on the weekend 4 times per month. Thanks for taking the time to comment Phillip. I like your side hustles a lot. Tutoring can be very lucrative, especially if you can do it with groups of people and remotely on Skype or Google Hangouts. People will pay handsomely for professional tutoring in any given niche. What a great idea Brian!!! Thanks for the comment! I reached half way through the list and already had like 5-6 awesome side business ideas which I think will make some good money. Thanks for the amazing list!!! So glad you’ve got some business ideas from it!! Good luck my friend!